Last evening I attended a discussion, organized by the Mouvement Écologique (Luxembourg’s biggest organization for sustainable development), about the possible direction that Luxembourg should take when it comes to its future. Invited speakers were Professor Reinhard Loske and Professor Harald Welzer, and the moderation was done by the never-fatigued Blanche Weber. In this post I will discuss what Luxembourg’s politicians should think about when they discuss policy options that influence Luxembourg’s future. The speakers had an evidently difficult task: during 1.5 hours they not only had to discuss some of the pitfalls of economic growth while introducing the audience to various potential alternative approaches to economic growth, but they were also asked to apply their suggested thought-processes or models to Luxembourg. So we witnessed discussions of and various points about how bad economic growth is, how capitalism drives our consumerism, needs to be abolished, and that most of the alternative models are also bad. There was evidently something missing in this debate, and this was an overarching direction, the red thread. And this is precisely the problem in Luxembourg, and by the way in many other countries, too. Let me be a bit more specific for the case of Luxembourg, though of course this applies to other countries, too. Luxembourg is one of the richest countries in the world, with rather low crime rates, good health, very little commuting times (it is small after all…), and a somewhat good social structure. Environmental problems in Luxembourg are currently small and could be dealt with if politicians had a bit more incentive to do so. The problem is that Luxembourg has the biggest pension overhang in the world, and that it has no well-designed plan to handle it. The current idea is to double the population during the next 30 years, in the hope that this sufficiently increases the proportion of people that help pay the pensions. Of course, this is also only a short-term solution. Furthermore, Luxembourg is highly dependent on the financial sector, and since this is very volatile and futhermore extremely mobile, it adds a fair amount of uncertainty about Luxembourg’s actual wealth in the future. So now the question is, why do we actually have a debate like this in Luxembourg? Why should politicians in Luxembourg be concerned about qualitative growth, or about changing the economic system, if in general everything seems to be fine? There are several reasons I can imagine that have not really been discussed but should become a bigger part of the public discourse in Luxembourg. Firstly, it is necessary to know whether Luxembourg’s population is happy with the current system or not. If they are happy, then of course there is no need to have this debate about fundamental changes to society. So it would be sufficient to discuss about the problems that Luxembourg’s society is likely to face, and that would be the pension system and the potential uncertainty surrounding the financial sector. With respect to the pension system, it would be easy to introduce a referendum in which inhabitants are asked: Do you want to see 1.1 million inhabitants in Luxembourg in a couple of years? Do we want a further inflow into Luxembourg as we have seen during the past years or should we say it is enough? Are we ok then with a reduction in pensions instead? So these alternatives need to be openly discussed and held up for vote. With respect to the financial sector, it should be one of the most important objectives of the Luxembourgish government to provide highly competitive breeding grounds for further developments. This requires also more emphasis on highly educating Luxembourg’s younger population and training these towards being able to work competitively in this sector. It would also require to place a further emphasis on internet security and safety, another sector that Luxembourg is highly developed in and that complements the financial sector. Of course, if Luxembourg’s society turns out not to be happy, then it is important to understand the source of this unhappiness and think about potential remedies in terms of social restructuring or economic remodelling. But then it should also be clear that the consequences will be very drastic, especially in a potential relocation of the financial sector, leading to a significant reduction in income. 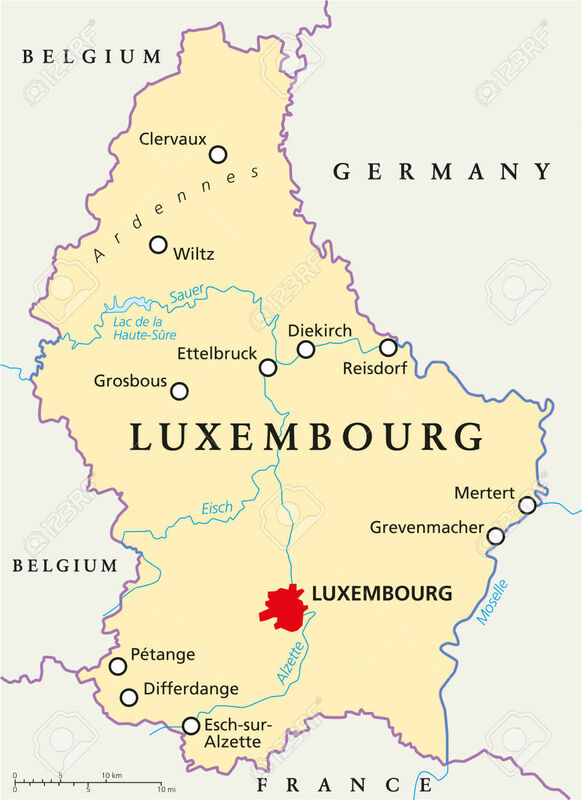 Would the Luxembourgish population be willing to accept it? How can its society then co-exist if it is surrounded by more traditionally-oriented systems? Secondly, Luxembourg ‘s politicians and inhabitants should be taking a position on Luxembourg’s wider obligations to the world in general. The following type of questions are then required to be answered: Should we internalize our externalities (even though we may only be harmed very little by these externalities)? Do we have an obligation in terms of resource use (even though Luxembourg’s population is marginally small, its per capita consumption is among the world’s highest)? In other words, are we allowed to consume at our current level since it is impossible for planet Earth to sustain the level of consumption that the world would have if everyone were to consume at Luxembourg’s level. The first question has a simple answer – taxes and subsidies will do the job. Taxes, set at the right level, will lead to an efficient outcome, and efficient means that no resources will be wasted – an important criterion on our crowded planet. By the way, this is also precisely why capitalism is one of the best approaches that we have: it is the most efficient system, and thus the least wasteful – if handled well! We know that this system provides the resources where they are demanded, that prices lead to equilibria between demand and supply, that economic payoffs provide incentives where they are needed and possible. We obviously also know that this system is rigged with externalities that need to be handled, but that are not impossible to be overcome. This is why political economy exists – politicians are there to guide the system in the will of the people. Since the condition “if handled well” will also apply to all other systems, then I find it difficult to agree with one of the speakers of tonight that capitalism needs to be abolished. The second question has a difficult answer – it requires Luxembourg to completely rethink its current system and will demand a less resource-intensive lifestyle. Luxembourg overconsumes compared to the rest of the world, and that across many different indices (like carbon footprint, ecological footprint, along many theories of justice, too). It should be clear that the Luxembourgish inhabitants will have to reduce their consumption by several factors, and that would be virtually impossible if Luxembourg kept the same system it has now. But what are the alternatives? To answer this question, this would require the work of a huge commission that probes through a variety of alternatives available. To summarize, only if Luxembourg’s inhabitants feel unhappy about the current system, or if they feel they have a moral obligation to the rest of the world in terms of consumption use (via e.g. the theory of justice “equality of welfare”), only in these two cases does it seem reasonable to radically rethink Luxembourg’s economic or social system. The other cases are a matter of tweaking and fine-tuning the current system, but also opening up the debate as to how Luxembourg should look like in the future. And here I again disagree with one of the speakers: It is upmost important to try to predict what Luxembourg may look like in the years to come. Yes of course there will be plenty of uncertainties, and yes of course these predictions are most likely going to be wrong. But they will be the best that we have. It is exactly like someone deciding how much to pay into a pension system: This person may be dead before being able to receive the pension, but in case he is alive he needs to decide now what kind of lifestyle he may like to live. This same principle holds at the large, i.e. at the country level, obviously, too. Interesting text! I have however one major remark: you talk about Luxembourg’s inhabitants while de facto it should be Luxembourg(ish) voters that de facto decide (through their voting) where the country is headed and this could potentially make a big difference. I made exactly the same observation on the pension system on monday at a debate on migration organized by the CLAE (increase population substantially, which in these figures is only possible with massive net immigration or accept lower transfers). The president of the chambre des salariés (Mr. Reding), disagreed with me on that point stating that in his opinion the pension system could be sustainable if the financing scheme is adapted. Read: move from a taxation on labor to a stronger taxation of capital/profits… Would be happy to hear your opinion on the viability of this “third” alternative for the financing of Luxembourg’s pension system (while keeping high pensions and a similar population structure). Thank you for your comments, very interesting indeed! I do agree that it is likely to make a difference whether Luxembourg’s inhabitants or its eligible voters are deciding about the future course of the society. In general, it is clear that a country’s voters – its citizens – should be given priority, if not absolute priority, when deciding about the future course of their country. However, in the case of Luxembourg there is also a large share of workers that are commuting every day, they are not Luxembourg’s citizens, but they are going to receive their pension from Luxembourg. I believe this is a dilemma to which I must admit I currently have no clear answer. We could envision the following situation: If everyone who is entitled to a Luxembourgish pension is also allowed to decide about whether or not pensions are going to be cut, then it should be clear that especially the commuters’ priorities will be focused on maximizing their pension, while Luxembourg’s citizens will weigh off their pension with population size, congestion issues, house prices, impacts on costs of living when the population doubles, etc. So it is very clear that the incentives are not necessarily aligned. BUT it is clearly going to be an issue if things are going to be decided simply over the heads of those entitled to a pension but not allowed to vote. About whether or not immigration is able to stabilize the pensions: I do not know the latest calculations, but I very well remember that the projections of the government were based on very optimistic (read: imaginative) numbers , especially the figures for economic growth (3-4%). I think someone should check again how reasonable the assumptions are that are used by the government to forward their conclusion. Still the debate should go a step further: What are the additional implications of allowing this huge increase in immigration? What will be the side-effects for the citizens in terms of house prices, congestion, impacts on standard of living, unemployment, etc? I have yet to see a study on this. Without a more holistic approach I find the current path that the government is taking rather short-sighted. I would, of course, be happy if someone from the government can point me at studies that have been done on this. Your last question is whether the government can increase taxes in order to pay for the current pensions: Luxembourg has the highest pension overhang in the whole world. I recall figures from the EU that suggest that Luxembourg’s pension overhang in 2060 is around 25% of GNP. Currently the Luxembourgish government receives a tax revenue of 25% of GDP. Luxembourg’s GDP is roughly a 1/3 higher than its GNP, so this would require to raise taxes by something like 17%. Luxembourg’s tax revenue in percent of GDP is already more than double the level of Germany and it has more than doubled since 1970. So would it be feasible to pay the pensions through tax increases? I guess yes, but I doubt it would be a clever move. This would move Luxembourg from being among the top 10 countries of the world in terms of taxes/GDP to the country with the by far highest tax/GDP ratio in the world.